I bought these as party favors. The silk fan was very good quality and also functional. I did not want the same favors that one usually receives at showers. I thought the fan would be something a little different. 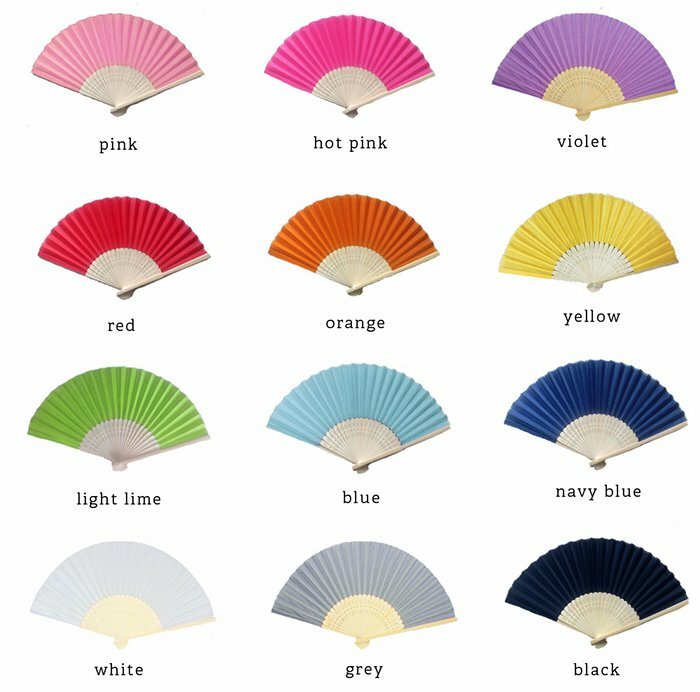 As my daughter's wedding is in the summer, guests could also use the fan at the reception if the venue gets too warm. I was using a cardboard fan from a convention that I attended many years ago, so when I saw this I thought it would be perfect to include with gifts for Valentines Day. I was going to slip them in the Bible carriers with a lot of other things, however after opening one and using it twice and it BROKE on the second use, I decided to keep them and use until they are all gone throwing them out! Very cheaply made junk! I ordered these silk fans as a favor for my daughter's baptism. I used the tag line... "Thank you for being a FAN of Mia'" It really went over well with all our guests! They thought is was a very cute and unique favor! The ONLY draw back is that the fans were slightly difficult to close. However, all in all, I'm extremely content with the product!!! I would recommend to friend! Thank you beau coup!!! Guests really loved this functional favor. Something to use during the party and to take home that will not go in a drawer but that can really be put to use. 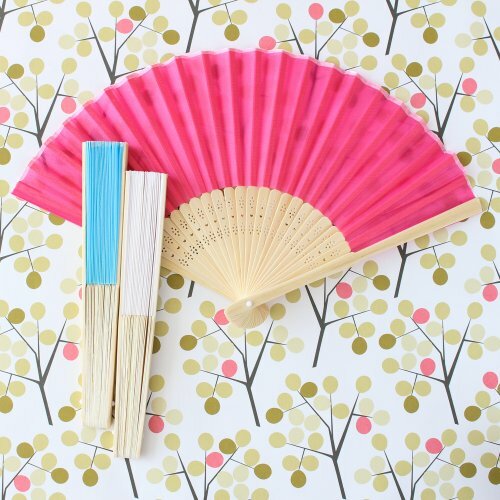 These dainty silk hand fans are must haves for outdoor parties in the warm summer months. Delicate panels are covered with gauzy silk for a lovely Asian inspired accessory. The fans provide a noiseless, gentle and soothing breeze. Perfect for outdoor and summer graduation parties, baptisms/christenings, and bar/bat mitzvahs. Comes packaged in a clear cellophane sleeve. Set one on each guest's chair or offer them in a basket by the entrance as a courtesy to your friends and family so that they may be comfortable throughout the party. Personalize your fans by tying custom printed ribbon to the outer panels of each fan.